Once upon a time... there was a tea shop. That's how the story of Four Leaves could begin. "Was" because the physical tea shop doesn't exist anymore. 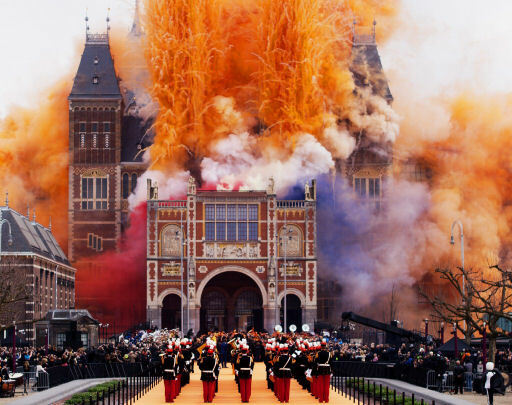 In September 2012 opened its doors at Spiegelgracht in the city centre of Amsterdam, in the direct vicinity of the Rijksmuseum. Four Leaves was housed in a great property: spacious and with a great look for both the shop and the tea salon. Unfortunately, this wasn't how the location looked when we first found it: dirty floors, moisture in the walls and some leaks, which made that mushrooms grew on the ground. That needed to be fixed! 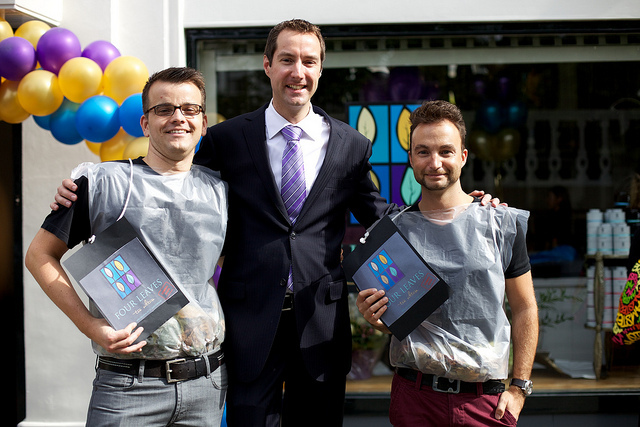 After an extensive renovation an opening party was held on 2 September 2012 for family, friends and other invitees who helped opening the new tea shop. On 5 September 2012 Four Leaves opened its doors for the public. As with every new company the first years were the most challenging. One might have a vision, but does the public share this too? Fortunately, the clientele grew pretty well in the first couple of months after opening the shop. Driven by a search for an honest product and better taste they became loyal followers. Even today a lot of first hour customers still buy their teas at Four Leaves. A challenging time followed pretty quickly. 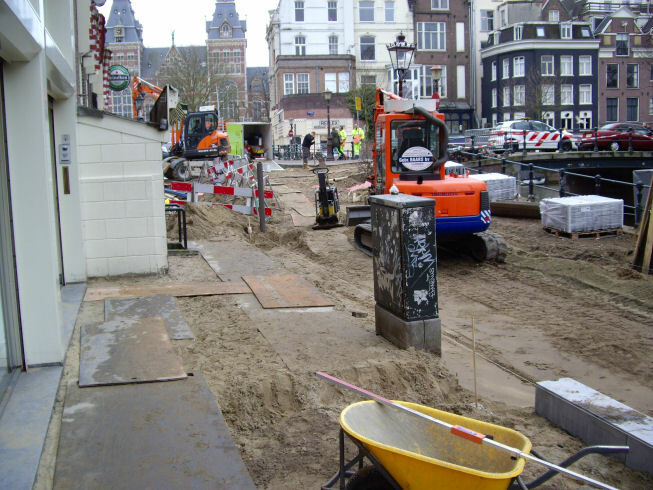 At the beginning of Februari 2013 sewers, whiring, road and deck of Spiegelgracht were renovated. Every shop will face a difficult time if after the first few months of its existence the main road is renewed and thus the public is redirected temporarily. It was the first group of loyal customers that helped Four Leaves through this difficult time! Once a year for four days the Amstelpark in Amsterdam changes in a foodie-fest where chefs of well-known restaurants cook their signature dishes. Taste of Amsterdam is a foodie festival where companies in good taste meet the foodie-minded audience. The event is aimed towards good taste and discovery. 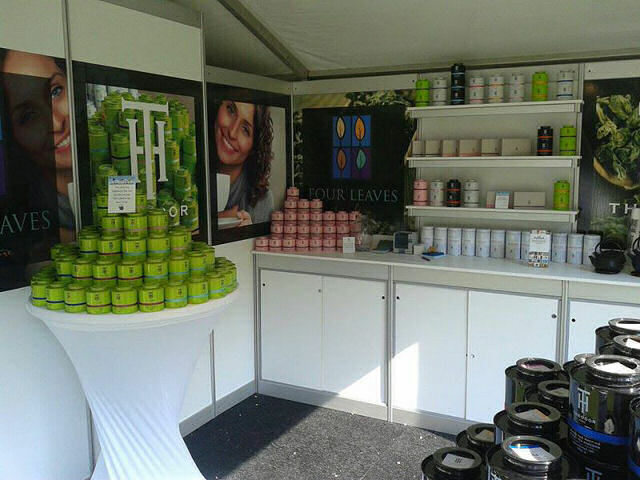 Four Leaves participated in Taste in June 2013, which led to the first contacts with restaurators who were looking for a better tea experience. From that moment on Four Leaves started its wholesale business towards the better restaurants, hotels, coffee bars, clubs and brasseries. In the following years Four Leaves became an ambassador for good taste. Many people visited the salon and were happy to be informed about the backgrounds of teas. It helped them to get better understanding on how to find their favorites. Therefore, the closure of the store came to many as a thunder in clear sky. The new property owner announced major renovations aimed at the upper apartments. 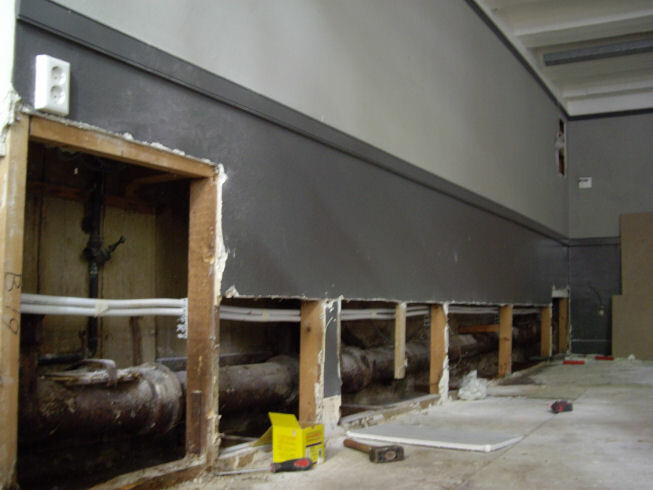 After a lot of negotiations on the terms of this renovation we eventually came to the conclusion that it would be better for us to each go our seperate ways.